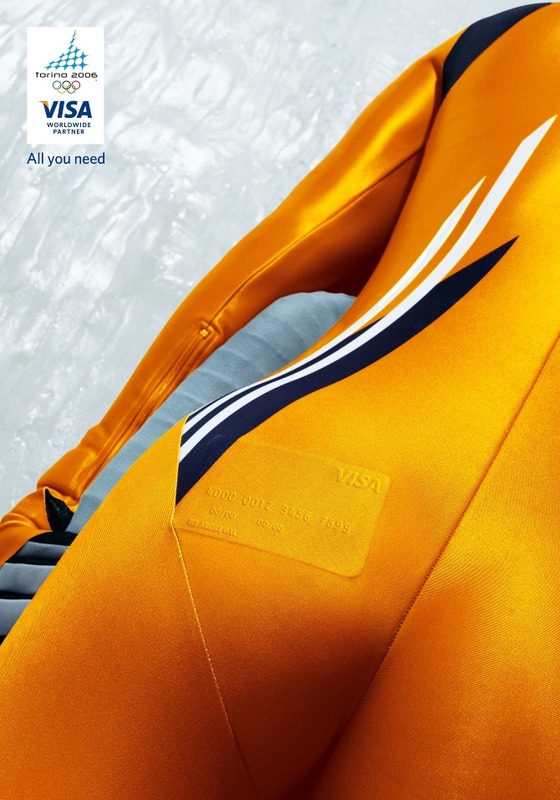 Visa’s sponsorship of the Winter Olympics allowed for some clear and punchy posters that adorned the streets of Torino. Shot by Kelvin Murray, they went on to win a Lion in the outdoor poster category at Cannes. The campaign included TV commercials and TV program idents in local EMEA markets, emphasizing the olympic sponsorship via the ‘all you need’ strategy of no need to carry cash.